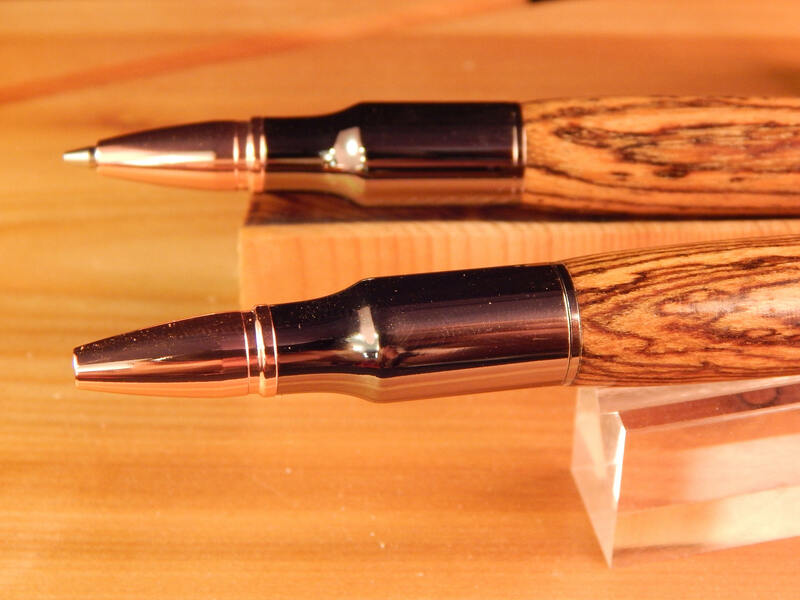 This 30 caliber bolt action ballpoint pen and pencil were crafted from bocote and matched with gun metal fittings. The writing tip of the pen and the lead for the pencil are extended by manipulating the bolt action. The pen does take a Parker style refill and the pencil takes .7mm lead. Bocote trees can be found throughout Mexico, Central America, and South America. 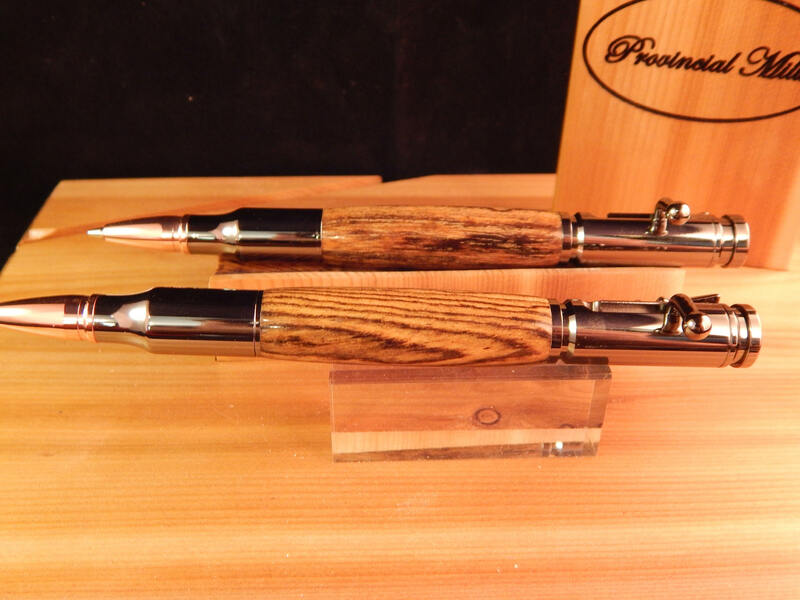 Bocote wood is yellowish with dark brown or black stripes. 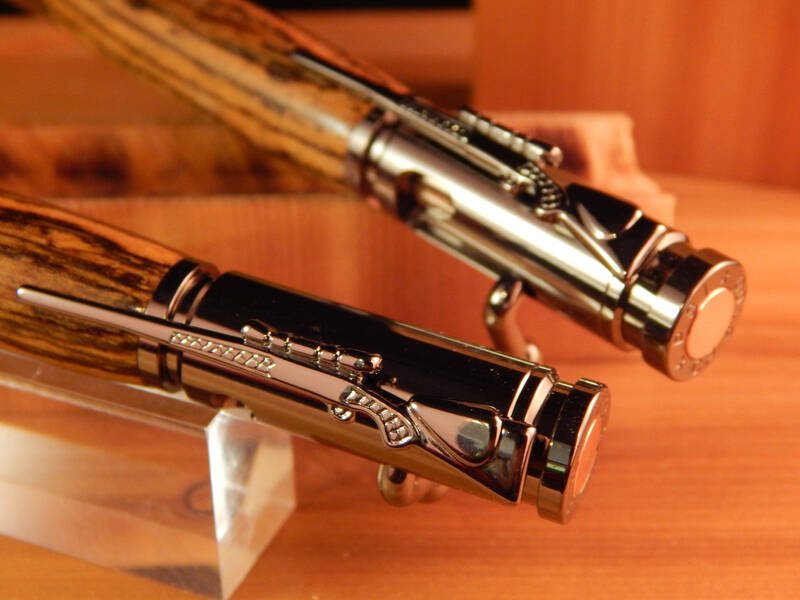 Bocote wood is commonly used in fine furniture, veneer, flooring, cabinetry, boat building, musical instruments, gun stocks, and other small specialty items. 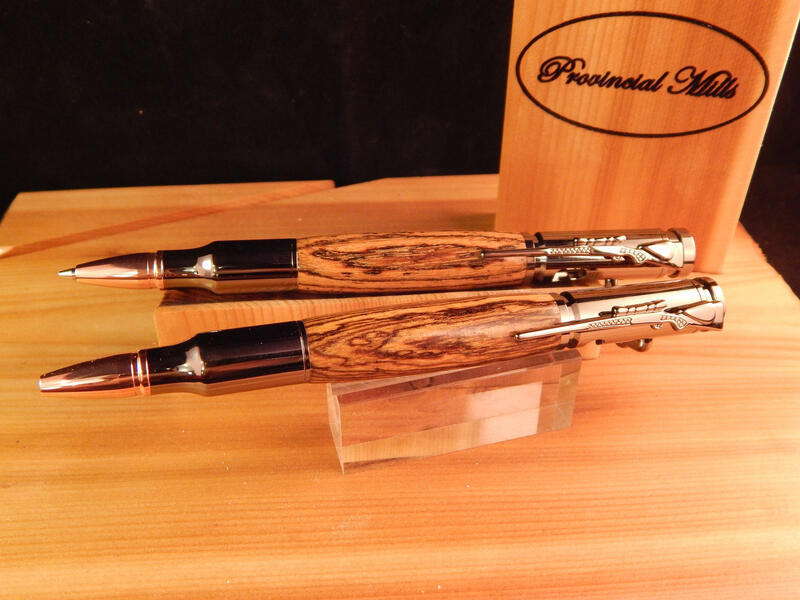 The pens offered by Provincial Mills are handcrafted in the United States. 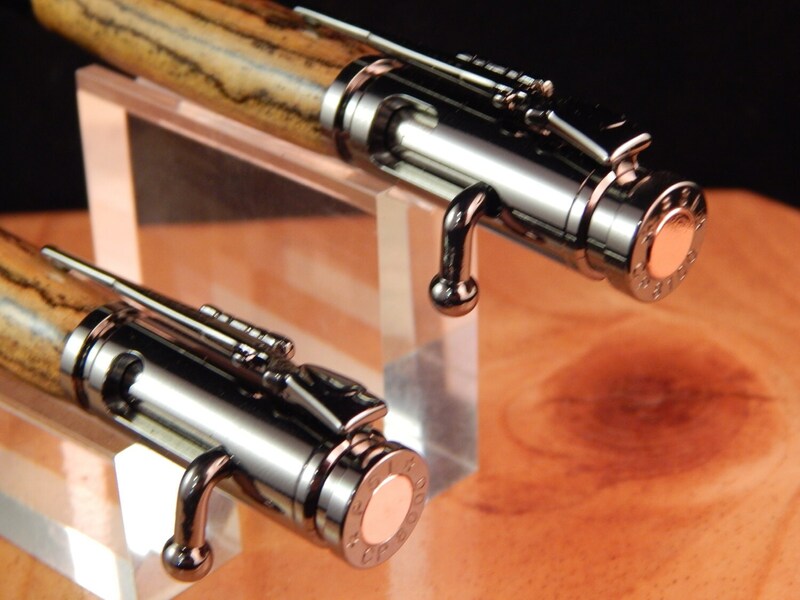 We offer a 30 day money back guarantee on all handcrafted pens (excludes shipping). If for any reason you are unhappy with the product, ship it back to us and we will refund the purchase price. To learn more about our shop and the process we use to create these items visit www.provincialmills.com. Like us on Facebook for your chance to win free gifts during out special giveaways. If you have questions regarding this item, please email us at provincialmills [!at] outlook.com.